Join us for our next toddler/preschool story time! 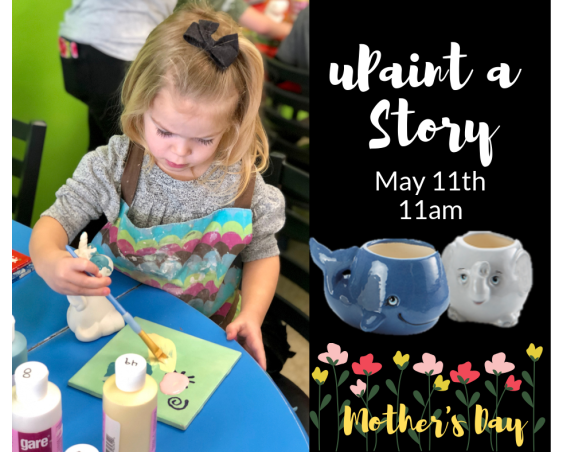 This month we will be preparing for Mother’s Day! 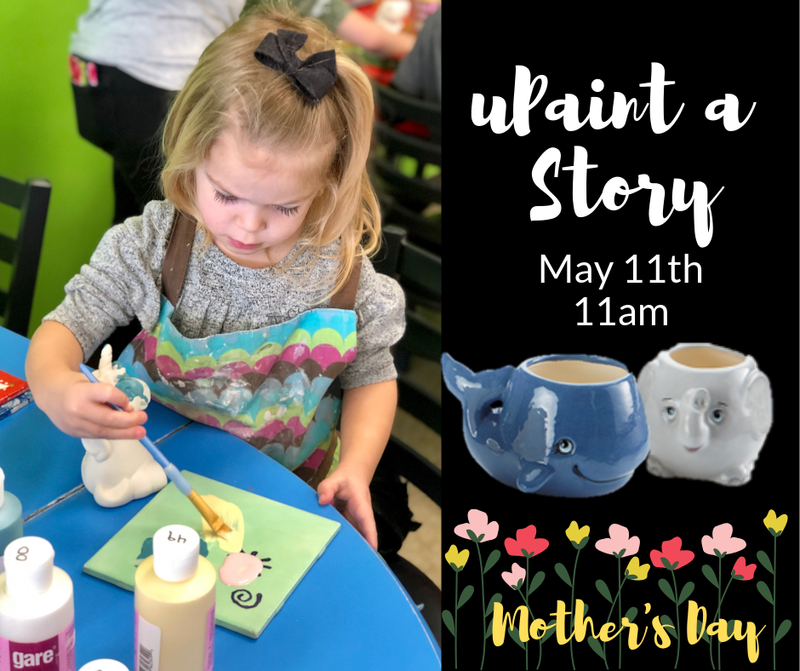 Each artist will enjoy listening to a story, painting a whale or elephant planter (perfect for a Mother’s Day flower) and enjoying a delicious snack. No reservation needed.